The State Wildflower license plate supports habitat for butterflies and bees. Get the plate that gives back to native, natural Florida. Hundreds of miles of roadside wildflowers have been protected, thanks to the State Wildflower plate. Get yours today with just a phone call. The State Wildflower license plate supports programs that increase awareness of wild habitats. Get your plate today. Can your license plate feed butterflies and bees? This one can. 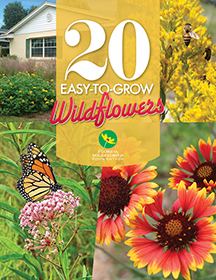 Get your State Wildflower today - it's just a phone call away! Everyone loves a field of flowers… especially the bees and butterflies that depend on them. But our flowers are vanishing from our rapidly developing landscape, and just when wildlife needs them the most. Show your support for our natural world by purchasing the State Wildflower specialty license plate! Since 2000, the plate has raised more than $4.2 million for roadside wildflowers, gardens in public parks and schools, educational materials and more. Fill out a brief form to request a phone call. Visit your county tax collector’s office. Fill out a brief form to request a phone call. You’ll need a copy of your recipient’s auto registration. Visit your county tax collector’s office to purchase a State Wildflower license plate gift certificate. Wildflowers are the heart of native Florida. Many of our most treasured and threatened wild creatures depend on them for survival. But wildflowers themselves are threatened. Your tax-deductible contribution to the Florida Wildflower Foundation provides butterfly and bee habitat, educational programming for all ages, and research that advances the knowledge we need to better nurture our native habitat. We can’t do this work without the support of people like you. Please give today. Our natural world depends on it. See how your donation helps. helps establish a school wildflower and wildlife garden. provides educational materials for four community events. plants wildflowers along 100 yards of a roadside. sponsors a community wildflower planting. boosts research that brings more native plants to market. Learn how you can make the impact of a lifetime through a bequest. One-time gift, you choose the amount. Monthly Giving: Pick the level that works for you. A monthly gift often works best for many budgets. Choose an option from the list to be charged to your credit card each month. A COPY OF THE OFFICIAL REGISTRATION AND FINANCIAL INFORMATION FOR THE FLORIDA WILDFLOWER FOUNDATION, A FLORIDA-BASED NONPROFIT CORPORATION (REGISTRATION NO. CH12319), MAY BE OBTAINED FROM THE DIVISION OF CONSUMER SERVICES BY CALLING TOLL-FREE 1-800-HELP-FLA FREE (435-7352) WITHIN THE STATE OR VISITING THEIR WEBSITE HERE. REGISTRATION DOES NOT IMPLY ENDORSEMENT, APPROVAL, OR RECOMMENDATION BY THE STATE. Our members have raised more than $4 million to spread flowers along roadsides, research their mysteries, and teach people how Florida’s first flowers sustain bees and butterflies. Join them today in supporting native wildflowers and the wildlife depending on them. Join online or print an application to send via mail. Have the State Wildflower license plate? You’re a member! See below for information on registering your membership. *Upon request; while supplies last. Do you have a State Wildflower license plate? Membership is included with your purchase or renewal of the State Wildflower plate. Use our online form to register your membership, or print an application to mail. Don’t have the State Wildflower plate yet? Order yours today, with just a phone call, then return here to register as a member when you receive it. Dr. Loran Anderson is a professor emeritus in the department of biological science at Florida State University in Tallahassee. His research has focused on plant taxonomy and systematics in the Florida Panhandle and elsewhere. He is currently compiling a checklist of native plants in Panhandle counties that will include rare and endangered species. In 2016, he received the Foundation’s Coreopsis Award in recognition of contribution to Florida’s wildflowers. 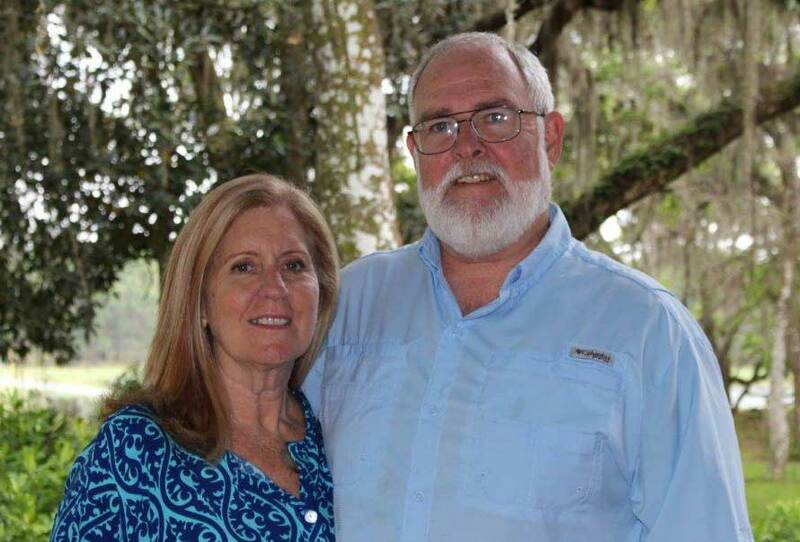 You will find Walter and Karin Taylor at most Florida Wildflower Foundation and Florida Native Plant Society events, many times volunteering their time to speak to others or sit at information tables and promote wildflowers. They are longtime residents of Florida and experts on wildflowers, with Walter having authored numerous field guides that have become indispensable to Florida wildflower enthusiasts. Meet Taryn Evans of Weirsdale, Florida. Taryn is an enthusiastic member of the Florida Wildflower Foundation. She has shared her expertise on pollinators at previous Florida Wildflower Foundation symposia and with the Florida Native Plant Society’s Marion Big Scrub Chapter, where she serves as president. She and her husband, Terry, own Creative Garden Structures, which sells their handmade garden furniture, bird and pollinator nest boxes, and hand-painted rain barrels, as well as Florida native plants and wildflowers. Florida Wildflower Foundation member Kay Yeuell was born in Orange County, and spent his childhood in Florida and Massachusetts. After graduating from Boston University, Yeuell ran a family manufacturing business in the Boston area for 25 years. When he retired in the mid-1980s, Yeuell moved back to Florida with his wife, Linda Lord. 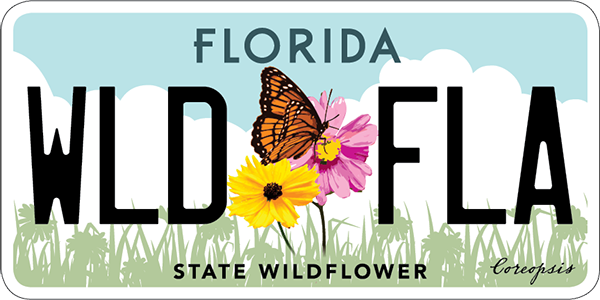 Jackie Rolly joined the Florida Wildflower Foundation when she purchased a license plate for her car many years ago. She’s also a member of the Florida Native Plant Society (FNPS), as well as the Audubon Society and the Sierra Club. On Mondays, you’re likely to find her at the Oakland Nature Preserve (ONP) where she’s been working since 2007. And when the travel bug bites, Rolly volunteers for expeditions with Earthwatch Institute, on which she’s done such things as helped track wild elephants in Sri Lanka and studied biodiversity in the vineyards of France. Instrumental in getting the Florida Wildflower Foundation off the ground, Anne Mackay continues to serve on the Foundation’s board, first serving on the Florida Wildflower Council board, then as board chair for the Florida Wildflower Foundation. Read why she stays involved. Meet Gary Henry, longtime wildflower advocate and enthusiast. Gary Henry is the former Florida Department of Transportation’s landscape architect and a founding member of the Florida Wildflower Foundation board. He also was a driving force behind the establishment of the State Wildflower license plate, which funds the Foundation’s work.